We are a small, family-centered practice with an emphasis on improving health and promoting wellness through all stages of life. Through mutual respect, compassion, and understanding we believe we are better able to help our patients make the right health choices for them and their families. "Actually, what Dr Upton is providing is the traditional model of a doctor's office. We have three teenagers and we felt the accessibility, the continuity of care, and the trusted relationship with Dr. Upton were the critical aspects of the medical care we want for our family." "The reasons we chose to become members of Dr Upton's practice is that we wanted to retain the wonderful medical care we have received from her for many years." Learn more about cutting-edge nutritional supplements and skincare opportunities. 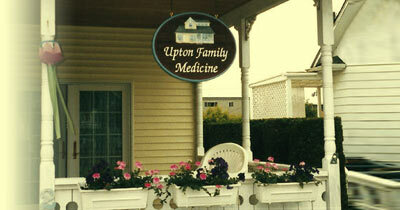 © Copyright 2013 Upton Family Medicine. All rights reserved.